陈圆圆, 李杰, 白春东, 李典, 张子轩, 林月明. 北山北带园包山地区中酸性火山岩地球化学特征及锆石U-Pb年龄[J]. 地质通报, 2019, 38(2-3): 266-275. 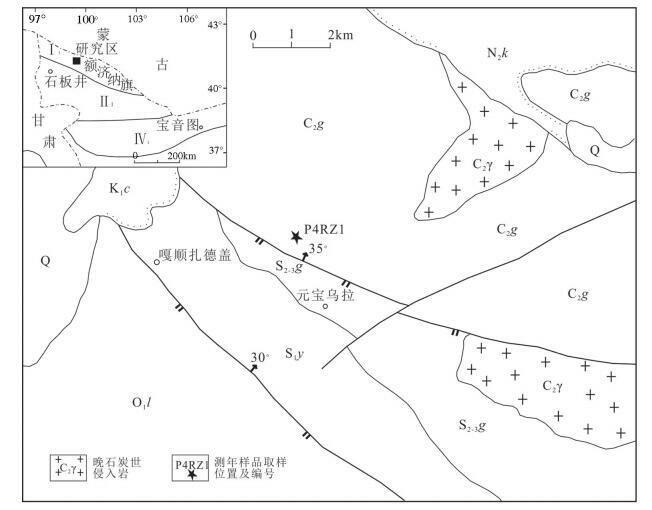 Chen Y Y, Li J, Bai C D, Li D, Zhang Z X, Lin Y M. Geochemical characteristics and zircon U-Pb age of the intermediate and acid volcanic rocks from Yuanbaoshan area in the northern part of Beishan orogenic belt[J]. Geological Bulletin of China, 2019, 38(2-3): 266-275. 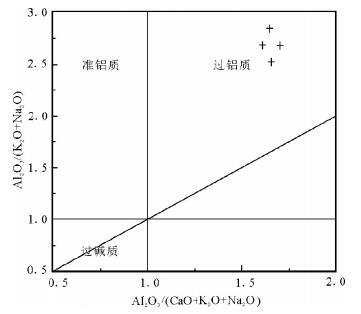 Abstract: The Late paleozoic intermediate and acid volcanic rocks from Yuanbaoshan area in the northern part of Beishan orogenic belt are dominated by dacitic rock with a small amount of andesitic rock. Zircon U-Pb isotopic age 315.9±3.4Ma was obtained in the dacitic tuff. It means that the age of rock formation is Late Carboniferous. 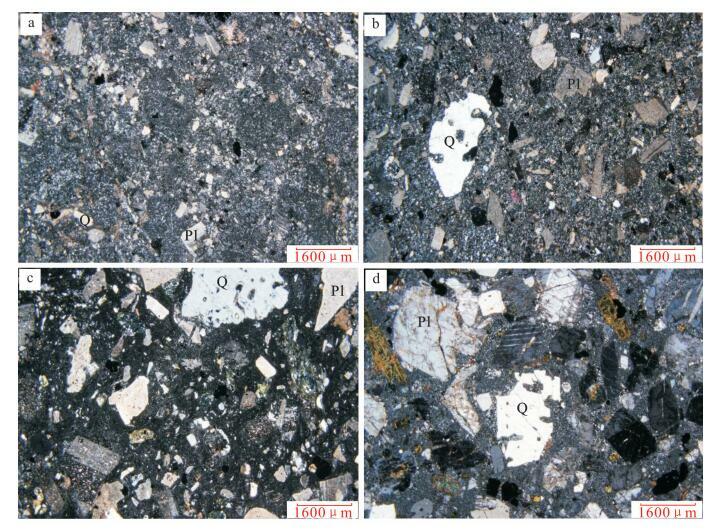 The authors consider that this set of volcanic rocks belong to Upper Carboniferous Ganquan Formation. This set of volcanic rocks have the characteristics of ocean island arc and continental margin arc and are of low potassium-medium potassium calc-alkaline series, enriched relatively in light rare earth elements and large ion lithophile elements, and relatively depleted in high field strength elements, with unconspicuous Eu-negative anomaly. Combined with previous studies of regional structures and geochemistry of volcanic rocks, the authors consider that Ancient Asian Ocean still subducted and had not yet been closed in the north part of Beishan orogenic belt in Late Carboniferous. 左国朝, 何国琦. 北山板块构造及成矿规律[M]. 北京: 北京大学出版社, 1990: 1-226. 左国朝, 李茂松. 甘蒙北山地区早古生代岩石圈形成与演化[M]. 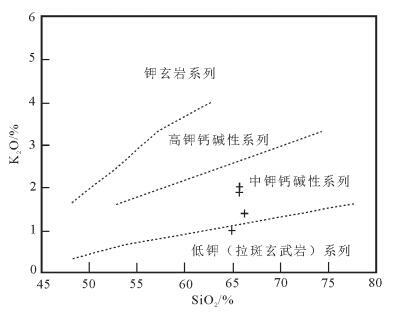 兰州: 甘肃科学技术出版社, 1996: 1-120. 左国朝, 刘义科, 刘春燕. 甘新蒙北山地区构造格局及演化[J]. 甘肃地质学报, 2003, 12(1): 1-15. 龚全胜, 刘明强, 李海林, 等. 甘肃北山造山类型及基本特征[J]. 西北地质, 2002, 35: 28-34. 黄增保, 金霞. 甘肃红石山地区白山组火山岩地质特征及构造背景[J]. 甘肃地质, 2006, 15(1): 19-24. 徐学义, 何世平, 王洪亮, 等. 中国西北部地质概论-秦岭、祁连、天山地区[M]. 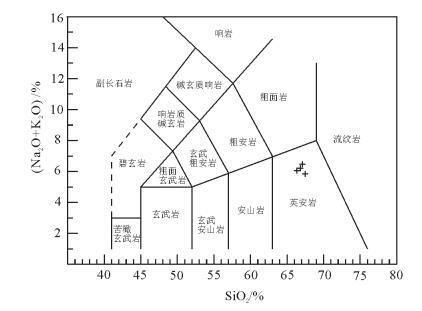 北京: 科学出版社, 2008: 1-347. 刘雪亚, 王荃. 中国西部北山造山带的大地构造及其演化[J]. 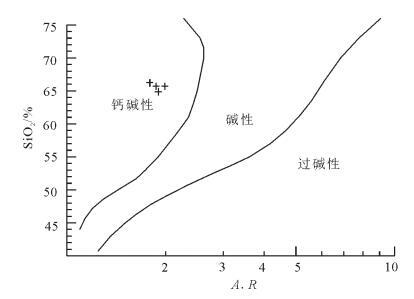 地学研究, 1995, 28(1): 37-48. 卢进才, 牛亚卓, 魏仙祥, 等. 北山红石山地区晚古生代火山岩LA-ICP-MS年龄及其地质意义[J]. 岩石学报, 2013(29): 2685-2694. 金松桥. 甘肃北山区下石炭统划分及其对比[J]. 地质学报, 1974, 2: 159-174. 内蒙古自治区地质矿产局. 内蒙古自治区区域地质志[M]. 北京: 地质出版社, 1991. 内蒙古自治区地质矿产局. 内蒙古自治区岩石地层[M]. 武汉: 中国地质大学出版社, 1996. 邹运鑫, 曹霞, 亢文丽. 北山六陀山地区上石炭统白山组LAICP-MS锆石U-Pb年龄[J]. 西部资源, 2015, 5: 65-68. 覃小锋, 王宗起, 张英利, 等. 桂西南早中生代酸性火山岩年代学和地球化学:对钦-杭结合带西南段构造演化的约束[J]. 岩石学报, 2011, 27(3): 794-807. 张金凤, 白新会. 内蒙古苏尼特右旗温都尔庙地区早石炭世火山岩的发现及其构造意义[J]. 岩石学报, 2016, 32(9): 2780-2792.